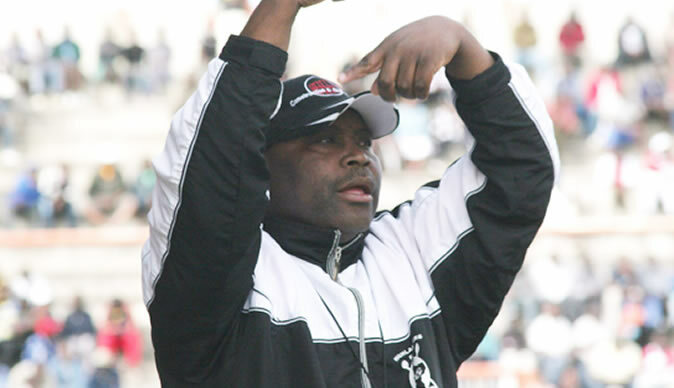 PROMINENT Bulawayo businessman and Highlanders benefactor Retired Colonel Kenneth Mhlophe says he supports the possible appointment of former Bosso player and head coach Madinda Ndlovu to replace departing Dutchman, Erol Akbay. Akbay announced his imminent departure in August after spending two seasons at the Bulawayo giants during which he failed to land the coveted Castle Premiership title. Sunday News Sport recently reported that impeccable sources at the Premier Soccer League club said the executive had resolved to appoint a Highlanders son to head the coaching department and Ndlovu was the first to be approached. The source said the executive had informally approached Ndlovu who agreed to a formal meeting where the club is expected to table its offer. Ndlovu has left Orapa United in Botswana where he was head coach. Mhlophe, himself a possible candidate for the vacant chairman's position at the club told Sunday News Sport that he sees Ndlovu's possible engagement as a positive step by the club and was fully behind his return to Amahlolanyama. He said the club needs a coach who has a proven track record with talent identification and assembling winning squads. "In Madinda the club will have made a very wise decision to re-engage him as the club's head coach. We need a coach who has an eye for raw talent and help develop players within our own ranks to avoid situations where we have to spend money we don't have to acquire players that may not even measure up to our expectations," he said. Mhlophe added that despite having able players in the development structures at the club, most coaches either don't have the nerve to use young but talented players or do not see their obvious talent. "This club has always produced talented young players. But in recent years, our coaches have either lacked the eye to see this latent talent or are unwilling to take a chance with young players meaning that we have to spend money to buy players and then pay hefty salaries because these guys come to us as established and experienced acquisitions," he said. Mhlophe also pointed out that had Ndlovu been given time during his previous two stints with Highlanders, he could easily have been able to deliver the Premiership crown to Emagumeni. "Everyone knows that Madinda put together two excellent squads at Highlanders that went on to win titles with other coaches because the club never gave him a chance. I strongly believe that if he gets enough time he can bring us the title," he said. The former senior army officer said he identifies with Ndlovu's football philosophy which is premised on development and would love to work with him should he be elected Highlanders chairman next year. "Madinda and I share a similar passion for development. For me he is the ideal coach to work with should Bosso members see it fit to elect me as chairman. I also feel that the club needs to stop taking advantage of him as has been the case previously by employing him to build a team then fire him only for his successors to come and reap the benefits of his vision." Ndlovu has been touted as the most likely and able replacement for Akbay and is thought to have already begun negotiating his return to the former super club. Reports suggest that although the club is also keen on engaging him, the two parties may not be able to agree terms. Ndlovu is reportedly asking for a $5 000-monthly salary among other demands. He is also reportedly asking for a complete backroom staff that includes a kit manager, fitness manager and striker's coach, goalkeeper's coach in addition to an assistant coach of his choice.